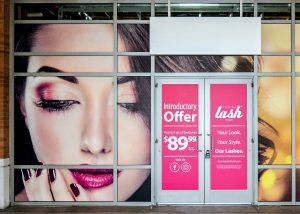 Excite, educate, and attract interested future customers and guests with show-stopping window graphics presenting your highest margin products or services. 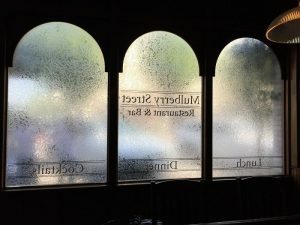 Perhaps you are marketing your latest services, and you need to supply privacy for your guests inside, or merely hope to educate your future buyers about your business and brand, appealing vinyl window graphics and signs get your brand noticed and considered. 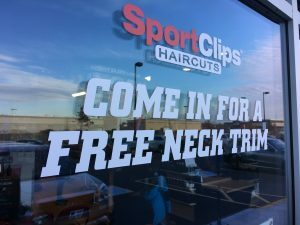 Apex Signs & Graphics, Inc. is your leading hometown vinyl window sign partner, designing attractive window graphics, clings, signs, and displays that effectively promote your brand and business. Call Apex Signs & Graphics, Inc. today at (847) 380-1944 for your Free Consultation! Apex Signs & Graphics, Inc. fabricates eye-catching and informative window displays for promoting your brand. 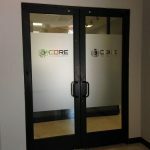 Our knowledgeable sign professionals provide high-quality window graphics that match your current branding, are in-line with your business objectives, and ultimately attract more new potential buyers. We work tirelessly to generate the ideal custom signage products to meet your needs. 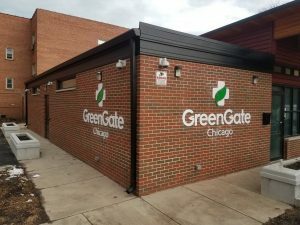 We ask questions about your brand to make educated recommendations for custom signage products that simply work. 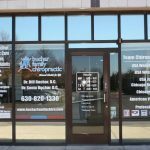 We are excited to support your marketing goals with engaging and attractive window graphics, banners, wraps, lettering, signs, and more. There is no question that retailers dedicate a lot of energy and time on designing their promotional and seasonal window displays. A high-impact window display is intended to bring serious new customers in your business. If you’re having a special event, sale, or promotion, or need to enhance sales related to a new, hot product, your window displays are a superb way to manage this. Usually, promotional window displays are changed regularly to emphasize the latest, hottest goods your store provides. Apex Signs & Graphics, Inc. delivers irresistible window graphics, signs, and full displays to showcase your special events and high-ticket goods in an exciting way that can generate more guests. Multi-office facilities, such as service professionals, law firms, insurance brokers, real estate agents, counselors and therapists, and many other business categories, take advantage of durable vinyl window film on their front windows for privacy, branding, or promotional applications. Our experts deliver privacy film that provides the same appearance as an etched glass window panel, minus the hassle and expense of replacing entire glass panels. Incorporating your company name, logo, and other branding elements in your privacy film is an easy method for increasing your branding while retaining appeal. 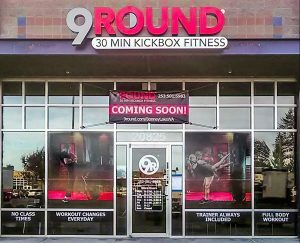 Our signage professionals will deliver one-of-a-kind privacy film specific to your business, or offer samples of frequently chosen vinyl film possibilities that will reinforce your branding needs. Service providers can also improve their brand and business visibility with an eye-catching custom window display! 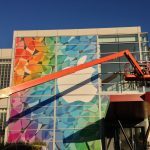 Put your windows to work with full displays and murals or custom banners, posters, graphics, or lettering showcasing your expert solutions, special offers, or even build an eye-catching display that highlights your highest demand services. Our professional custom sign and graphics project managers develop a custom blueprint to generate the ideal branded display for all of your brand needs. 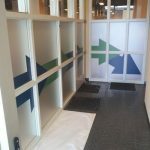 We handle manufacturing as well as of your custom window graphics. 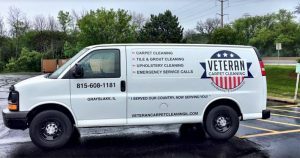 When you really need a local window graphics partner that can produce the eye-catching, unique displays your business needs, Apex Signs & Graphics, Inc. offers the ideal solutions for you. Call Apex Signs & Graphics, Inc. today at (847) 380-1944 for your Free Consultation with a Window Graphics Specialist! I would recommend Apex Signs & Graphics.